TOP 8 Legal Assistant Interview Questions - Ready to Answer Them? Legal Assistant Interview – What Questions Will They Ask You? Lawyers and their assistants need to know their job. 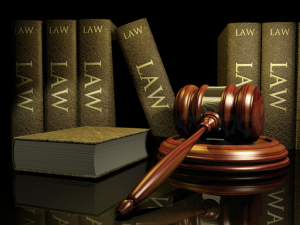 You will have to demonstrate your knowledge of law, and the value you can bring to their legal practice. What is more, you will have to answer some difficult personal and behavioral interview questions, demonstrating your attitude to work, life, and to other people. Some job applicants spend more than a month preparing for their interviews at a law firm, and they do sometimes compare this meeting to a state exam. And the comparison is not completely irrelevant, since it takes a lot of time to polish your knowledge of law…. What is more, considering the number of graduates from law schools, you have to count with a tough competition in your interview. It is not uncommon to see ten, or even twenty law graduates applying for a single job opening in a company. Instead of trying to fight the windmills, we will give you some suggestions on how to prepare effectively for the meeting with the employers, and show you some questions that are not related to particular legal field or terminology, and you will deal with them in any interview at a law firm. Let’s start with preparation tips. Focus on the field of law they specializes in. It makes no sense to spend month studying labor law, if a potential employer specializes in divorce cases. Focusing on the right filed will save you a lot of time in your interview preparation. Try to work on your skill in finding information, rather than knowing everything. Let’s face it. The education system at the law school is questionable. They should not want us to remember thousands of empty sentences, especially in the world of information technology. A clever person can find anything they need, either in the books, or online, within a few minutes, or even a few seconds. You should learn how to work with various sources of legal information and present your knowledge of the sources in an interview. Working with information is crucial in this field, and your interviewers are well aware of it. Try to build a good relationship with your interviewers. The truth is that many job applicants will give similar interview answers, especially to questions that test their knowledge of law. What is more, everyone will have a similar profile and background (typically graduated from law school, no experience or a few years of experience on a clerk position). For this reason, the personal preferences play a big role in the interviews. 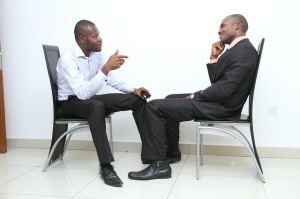 They will often choose the candidate they like the most as a person, the candidate they feel good with in an interview. Will it be you, or will it be one of your competitors? Why do you want to work in our office, and not for one of our competitors? Do your homework, research about their company, try to find some good references. Recognize them for their achievements, and win them over. Show them that you did not apply by a chance, but chose them on purpose. Show them that they are the best! Why have you chosen this profession? Money is not a good answer. Go for a worthy goal of your work, or perhaps for your faith in justice. Emphasize your belief in your skills and abilities, and say them that you believe to be a good lawyer. To relate to your family background should be your last option. What do you think makes a good lawyer (notary, legal adviser) today? Perfect knowledge of the subject, combination of high IQ and emotional intelligence, dedication to work, and constant effort to improve on their skills and abilities. Why should we choose you, and not another candidate for this job? One of the toughest questions, but also your chance to show them the value you can bring to the team. Refer to our Interview Success Package to see brilliant answers to this, and to other common and difficult interview questions. Describe a conflict you had with a colleague. Try to speak about a conflict which had a good outcome. Either it helped you to learn something new, or perhaps you eventually strengthened the relationship with your colleague. Show your interviewers that you approach conflicts in a constructive manner, and try to get the best out of it–for everyone involved in the conflict. Describe a biggest failure of your life. Your attitude matters more than the particular situation you’d describe. Show them that you consider each failure a learning experience, that you are not afraid of failures. And try to describe how you coped with the failure, and managed to move on. Describe a time you had to meet a tight deadline, and how you proceeded to meet it. If you want to get a job in a law firm, you have to prepare for a tough interview. And for many competitors. Technical questions help the interviewer to understand your knowledge of the subject of law, while personal and behavioral questions help the interviewers to understand your personality, your motivation, your attitude, and your communication skills–all of that matters for them. While we can’t help you with the answers to technical questions–you either know your field, or you don’t, we can help you with answers to personal and behavioral questions. Check our Interview Success Package to see great answers to thirty most common questions. Thank you, we wish you good luck on the big day!